Other senate candidates include Tim Hagen (L), Kamau Bakari (I), Richard Charles (I), and Barry Michaels (I). Due to limited space, we can’t include their responses, but encourage you to check out their websites. To download a printable pdf version of this guide, click here. 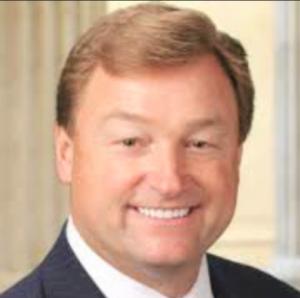 Heller – Ban all abortions after 20 weeks. Heller – No. Voted against bill to require this. Rosen – Yes. Co-sponsored bill to require this. Heller – Unclear. Has called for the end of corporate & union donations, but not for overturning the decision. Rosen – No. Supports constitutional amendment to overturn decision. Climate Change: Limit or tax production of greenhouse gases? Support President Trump’s withdrawal from Paris Climate Agreement? Rosen – Yes to tax or limit. Opposed repeal of Obama Clean Power Plan, saying would “increase carbon pollution, worsen the effects of climate change, and slow down our transition to a clean energy economy.” Opposed withdrawal from Paris Climate Agreement. Contraception: Employers can withhold contraceptive coverage from employees if disagree with it morally? Rosen – No. Cosponsored bill to prevent this. Education: Public support for parents sending their children to private schools? Heller – Yes. Backed tax savings plan to help parents pay for private schools. Rosen – No. Public money should go to public schools. Heller – Personal belief: “traditional marriage.” Will respect Supreme Court decision. Gun Control: Support more restrictive gun control legislation? Restrict semi-automatic assault rifles? Heller – Historically no. Voted against banning high-capacity magazines and expanded background checks. Now would leave gun regulation to states. Rosen – Yes. Ban high-capacity magazines and military-style assault rifles. Heller – Mostly repeal. Voted for several repeal measures, though against at least one. Prefers block grants to the states. Healthcare: Allow Planned Parenthood public funds for non-abortion health services? Heller – Twice voted against funding, but more recently says will protect it. Heller – Cosponsored bill allowing states to impose work requirements. Heller – Mixed positions. Called original DREAM Act a “backdoor amnesty” program, and voted against. Supported a recent DACA extension. Opposed recent bill with path to citizenship, though open to the concept, depending on specifics. Rosen – Yes. Co-sponsored DREAM Act. Also general earned path to citizenship “for law-abiding undocumented immigrants who are playing by the rules and contributing to our economy.” So potential earned path for more than just DACA recipients. Iran: Support Trump withdrawal from multinational treaty limiting Iran’s nuclear capability while lifting economic sanctions? Marijuana: Prohibit federal government from interfering with state marijuana legalization or decriminalization? Heller – Unclear. Personally opposed but respects will of voters. Asked federal government to consult with Nevada’s governor before taking federal action, but hasn’t sponsored STATES Act. Rosen – Yes, co-sponsored STATES Act to do this. Also a bill to regulate federally like alcohol. Minimum Wage: Raise the federal minimum wage from current $7.25/hour? Heller – No. Opposed 2014 vote to increase to $8.25 an hour. Rosen – Yes. Raise to $15 an hour. Rosen – Yes. Eliminating protections for broadband users puts consumers at risk. President Trump: Percentage of key votes supporting Trump positions. Heller – 92% on Senate votes as of 8/27/18. 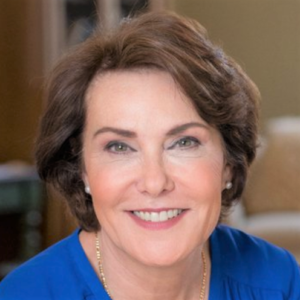 Rosen – 42% on House votes as of 8/27/18. Privatization: Support full or partial privatization of Social Security and/or VA? Renewable Energy: Support government subsidies for renewable energy? (Both Heller and Rosen oppose Trump’s tariffs on imported solar panels). Heller – Mixed. Has supported some renewable energy bills, opposed other key votes. Recently supported extending credits. Rosen – Yes. Strong supporter. Student debt: Refinance student loans at lower rates, paid for by increasing taxes on high earners (Elizabeth Warren bill). Heller – No. Voted against. Cosponsored separate bill supporting counseling about financial aid choices. Rosen – Wasn’t in House during Warren bill. Has supported refinancing if market rates drop. Also supports extending Perkins program and letting student loans be canceled if recipients go bankrupt. Rosen – No. Considers “fraudulent” handout to corporations and the wealthiest. Opposes top bracket and corporate tax cuts that she considers at the heart of the bill.